I don’t know about you, but ever since I started reading all about pillows and the fantastic innovations there have been so far, I have become fascinated with how pillows began in the first place. I mean, whose idea was it anyway to stick something under their heads when they sleep, and why? Was it for comfort, or were there other reasons why the pillow was invented. And speaking of the pillow itself, where did the name “pillow” come from? We hardly ever think about the origin stories of everyday things, however, it’s always nice to know how these things began. It’s likely that we’ll encounter some pleasant (or not so pleasant) surprises along the way. Well, can you imagine that people are said to have used pillows from as early as 7000 BC? The humble little bed accouterment that we all love got its start in early Mesopotamia, and were made of stone. Stone? You might well ask. Yes, stone. Apparently, the first pillows were not made for comfort but for a more practical reason. Since the early Mesopotamians were sleeping on the floor, small insects used to crawl into their hair, noses, mouths, and ears, and in order to prevent this, the richer ones among them put stones under their heads, since only the rich people in that society had these “pillows”. These, my friends, were the first pillows. These pillows actually became sort of a status symbol. The more pillows you had, the more people looked up to you. It’s also possible that the Mesopotamians used these stone pillows to help relieve back pain with certain ones, but, keeping bugs away was the bigger reason to use them. Pillows were used as well a few centuries later, in ancient Egypt. 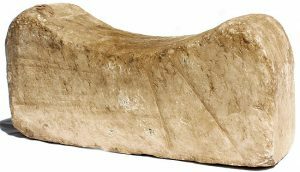 The ancient Egyptians used stones for pillows just like the early Mesopotamians did, but they sometimes used blocks of wood, too. These pillows had special significance for the dead in that society, who were entombed with pillows under their heads since the ancient Egyptians believed that the human head was the most sacred part of the body. Of course, these “pillows” also saved to support the heads of the deceased and were said to cause demons to flee. Pillows became significantly softer during the times of the Greeks and Romans, who put straw, feathers or reeds inside a casing in order to have something soft to lie on. But then, it was only the rich who were able to afford these soft pillows, even if everyone else used something to lean or lie on. Later on, pillows were used for kneeling in church, or as a place to lay holy scriptures. In some places, this is still done today. The Greeks and Romans also put pillows under the heads of their dead, a practice that they may have gotten from the Egyptians. 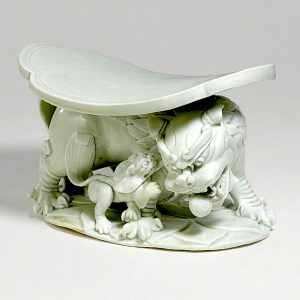 As for the ancient Chinese, their early pillows were also made of hard materials, such as porcelain, wood, jade, bronze, bamboo or even ceramics, which actually was the most popular material for pillows. Sometimes, however, a softer material such as cloth was placed on these pillows to make them more comfortable. During the Sui Dynasty in the fifth and sixth centuries, ceramic pillows were introduced to society, and then became mass produced in the dynasty that followed, the Tang Dynasty (618-907). These Chinese ceramic pillows, which are now collectors’ items, were colorfully and intricately decorated with paintings of plants, animals, and people. They reached the height of their popularity in the 10th to 14th centuries, during the time of the Song, Jin, and Yuan dynasties. Later on, as better pillow materials were developed, the production of ceramic pillows was eventually halted. Today, these items would fetch a high price in the art market. In Japan, Geishas used small hard pillows to keep their head from touching the ground at night. Since Geishas had beautifully and elaborately designed hairstyles, it was important that they slept with something that elevated their heads, in order to keep their hair from getting messed up. Incidentally, Geishas-in-training slept with rice surrounding their pillows, so their trainers could tell who fell off their pillows in the middle of the night, by counting the grains of rice in their hair. During the Middle Ages, people almost stopped using pillows altogether, since they were considered to be a sign of weakness. There were two exceptions to this, however. Expectant mothers normally used pillows for their health and comfort, and so did King Henry VIII. Legend has it that he banned everyone else from using pillows. Everyone else was expected to spend the night flat on their backs. But this mindset began to change over the years and centuries that followed, and more and more people began to use pillows in their beds at night. By the Industrial Revolution, things had changed completely. Pillows became more and more a part of comfort and rest every night, and pretty much every man, woman, and child in the western world was sleeping on a soft pillow. And today, there is an increasing variety of pillows available to fit your needs and desires. And more and more pillows are developed every day. A bed pillow is no longer just a big block of softness that you rest your head on – it can play music, wake you up with an alarm, be a smart pillow that can track your sleep patterns, make a movement when you snore, as well as all sorts of other functions that would surprise you. 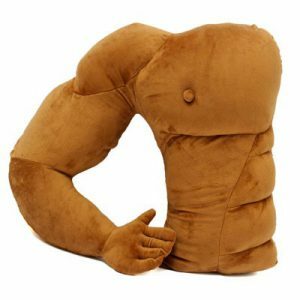 There are pillows of all shapes and sizes and colors and fabrics and functions – from a boyfriend pillow complete with a movable arm to hug you at night, to a black pillow called NIGHT, which is supposed to reflect darkness and let you sleep longer and more restfully. I will be writing about these pillow innovations in the weeks to come, so stay tuned! 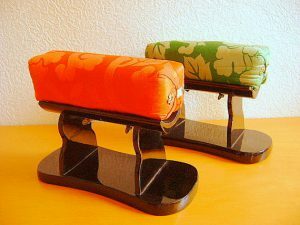 In the meantime, if travel is your interest and you’re interested in an article that compares the different kinds of travel pillows, check out what I wrote here. Pillow history: What’s in a name? Oh, you may be wondering if I ever found out where pillows got their name. Yes, I did – and here’s the etymology of the word, “pillow.” It comes from the Middle English word “pilwe”, which in turn came from the Old English word “pyle”. All of these came from the Latin word “pulvinus” which means cushion. Pretty straightforward, don’t you think? 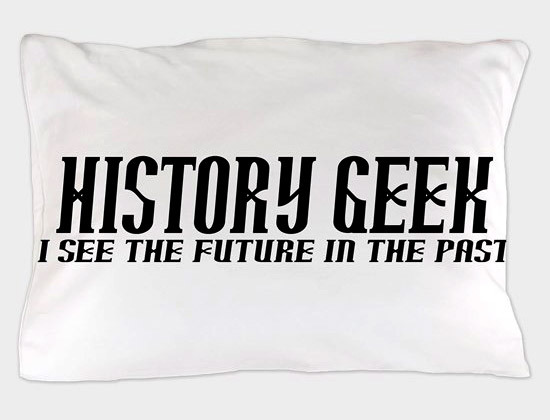 The word “pillow” itself was first used sometime in the eleventh century, and we’ve never stopped. Today pillows are made of a variety of materials. In many countries cotton is the most popular filling, if not, synthetic fibers or some kind of foam. Some people use feathers or down for filling, the even softer feathers on the underside of geese and other types of birds, although others feel that the practice of taking down from live geese is unkind to these animals. Pillows also come in different standard sizes and shapes. Americans use rectangular pillows, while Europeans use much larger, square pillows. The most common sizes are regular or standard, which is 51 x 66 cm. Next in site is Queen sized, at 51 x 76 cm, and then King, at 51 x 92 cm. There is also a Jumbo size, which falls between the standard and Queen sizes. European pillows, which I find huge and haven’t gotten used to until now, are 66 x 66 cm. 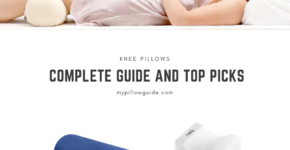 You can find a helpful chart for all sizes and types of pillows here, and if you’re unsure about the sizes of pillowcases, you can check out handy guidelines and charts here. I have heard the saying that a pillow is a bed for your head and I could not agree more! In fact, I think a pillow is just as important as the mattress when it comes to getting a good night’s sleep. Our heads and necks need to be supported while we sleep. The right pillow can make a big impact on your quality of sleep, your health and ultimately your well-being. Pillows probably don’t get the attention they warrant, as they can be instrumental in getting a good night’s sleep or be the cause of a terrible night of sleep, which will lead to a terrible day! 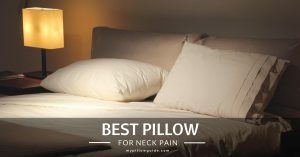 A pillow helps keep your neck and spine in comfortable alignment as you sleep. Yet pillows that do not fit the sleeper, for example [which] are too thin or thick, can leave you with neck pain, shoulder pain, back pain or headaches. So you see, pillows are important! An excellent pillow spells all the difference between waking up in pain and waking up refreshed, with a smile on your face. I hope that this short pillow history will cause you to be thankful that someone invented these contributors to our nightly comfort. Having a good pillow is like being hugged by your best friend every day!